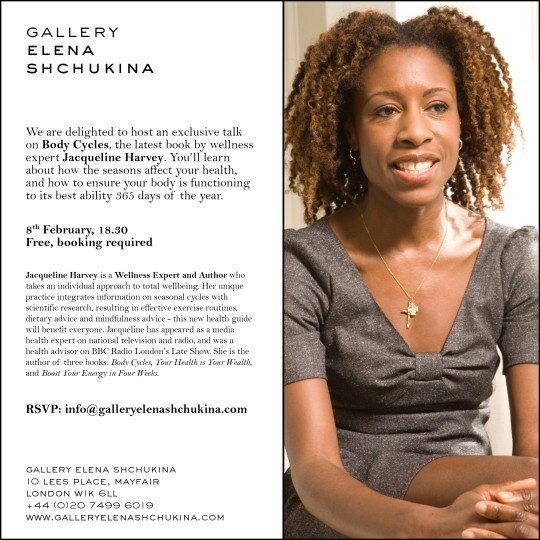 We are delighted to host an exclusive talk on Body Cycles, the latest book by wellness expert Jacqueline Harvey. You’ll learn about how the seasons affect your health, and how to ensure your body is functioning to its best ability 365 days of the year. Jacqueline Harvey is a Wellness Expert and Author who takes an individual approach to total wellbeing. Her unique practice integrates information on seasonal cycles with scientific research, resulting in effective exercise routines, dietary advice and mindfulness advice - this new health guide will benefit everyone. Jacqueline has appeared as a media health expert on national television and radio, and was a health advisor on BBC Radio London’s Late Show. She is the author of three books: Body Cycles, Your Health is Your Wealth, and Boost Your Energy in Four Weeks.